Stainform has assisted Shape Australia in the refurbishment of 619 Elizabeth street, Redfern 2018. 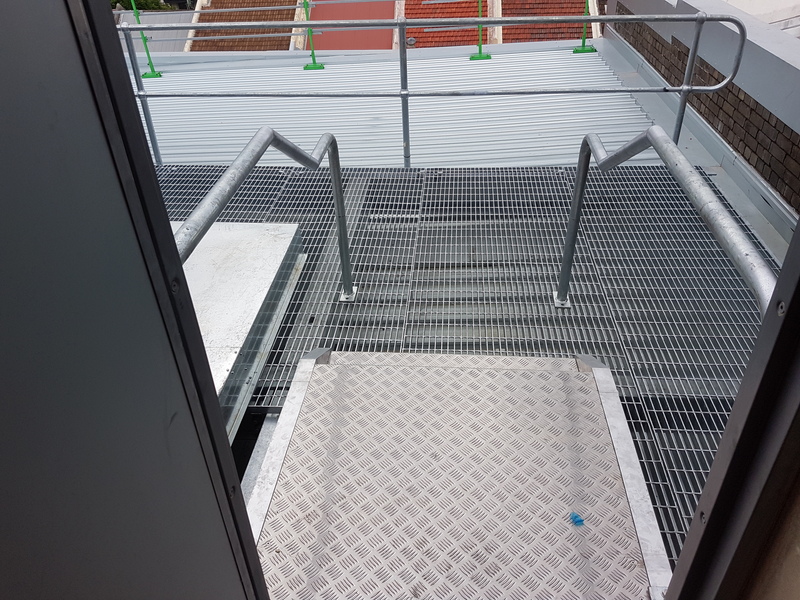 Within this refurbishment the team at Stainform Manufactured & installed the main entry stair balustrades & stainless steel handrails, 3 rail balustrades, the rooftop ladder & balustrade (x2). 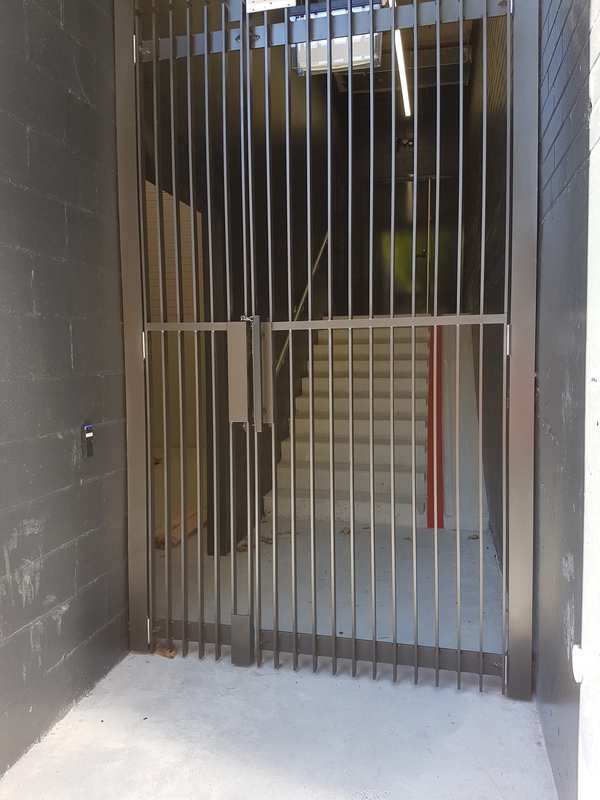 Stainform was a part of the design & construction to the main glass door frame which included special coatings & was completed on a strict time frame as well as the entry door to the bike room that is made up of Steel Flat bar and RHS. 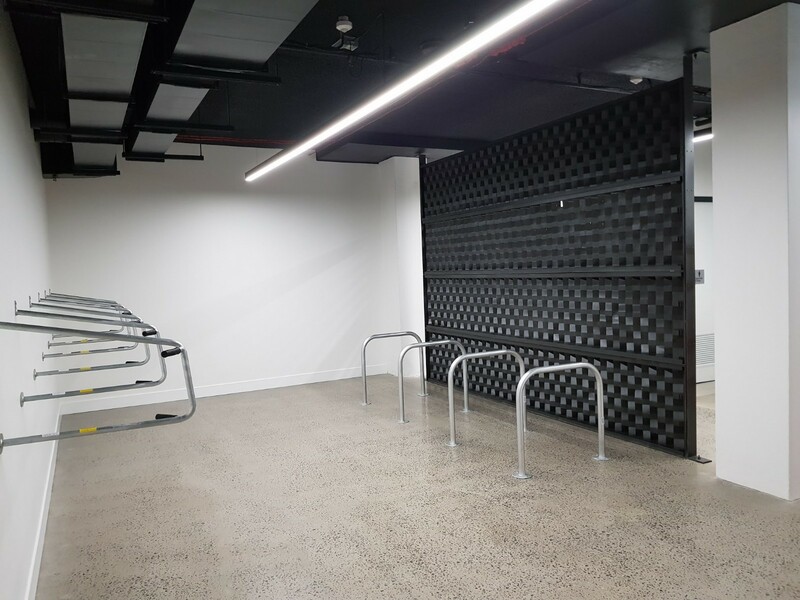 Within the bike room we supplied & installed Cora bike racks & bollards, Our team removed & refurbished 50+ year old heritage listed Louvre panels to produce a feature wall this is used as a room divider.